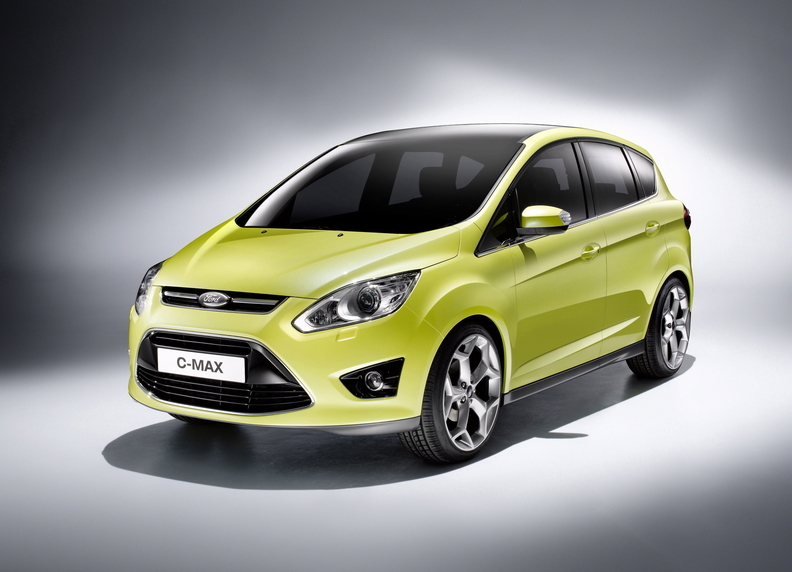 The new C-Max will have new technologies and a coupe-like sweeping roofline. MUNICH -- Ford Motor Co. will give its new C-Max a more dynamic passenger-car look and new technologies to boost the minivan's appeal. Ford has released images of the second-generation minivan, which will be unveiled at the upcoming Frankfurt auto show. The C-Max takes its "kinetic" design cues from the iosis MAX concept car unveiled at this year's Geneva auto show, incorporating features such as a coupe-like sweeping roofline. A 1.6-liter Ford EcoBoost direct-injection gasoline engine. Semiautomatic parallel-parking and a blind-spot detection system are among the technologies that the C-Max will introduce to Ford's lineup. The C-Max uses the automaker's first global C-segment platform, which will underpin other models, including the next-generation Focus, also coming in 2010. The C-Max will be launched in Europe in the second half of 2010. Ford has not released any more details on the new C-Max but the carmaker is expected to add a seven-seat variant to the standard five-seat model.